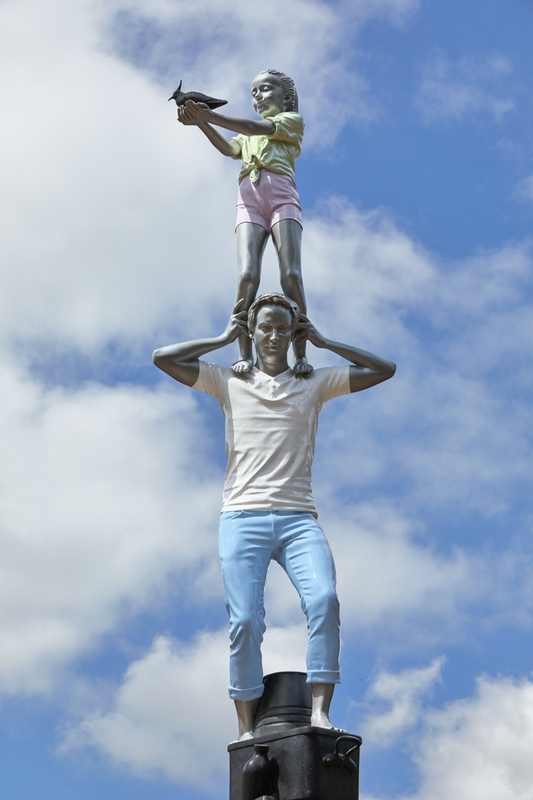 The ‘Peewit’ shows a girl standing on the shoulders of a man. She holds a bird in her hand. 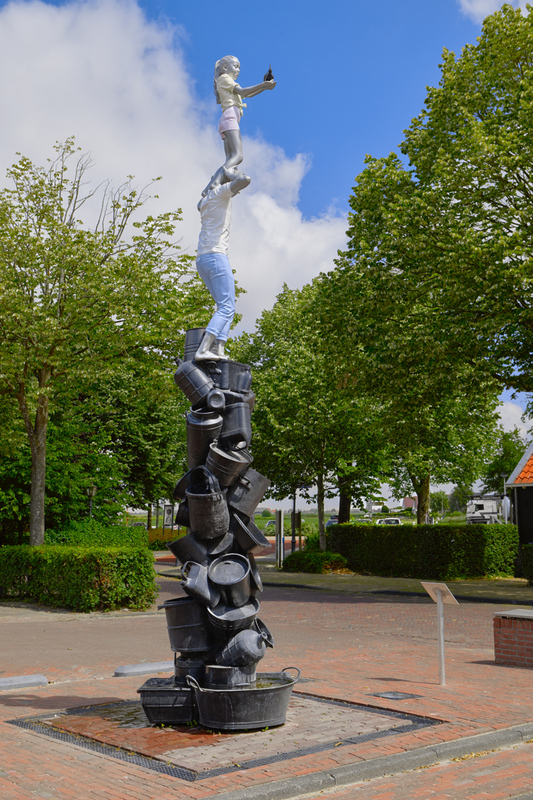 Under the man’s feet a disheveled pile of buckets, jerry cans and barrels form the base of the fountain. These universal containers, which water flows in and out of, reflect the fact that our society has abundant access to something which is not so evident elsewhere in the world: water - the source of all life. The bird with the girl is a peewit, a bird species that is threatened in Friesland. The versatile work of the artist couple Lucy & Jorge Orta (1966, 1953) focuses on food, water and environmental issues. In their often longterm, intensive research projects, they collaborate with scientists, NGOs and the local population. Their excursions to Antarctica and the Amazon region lead to exhibitions focusing on interesting core themes. 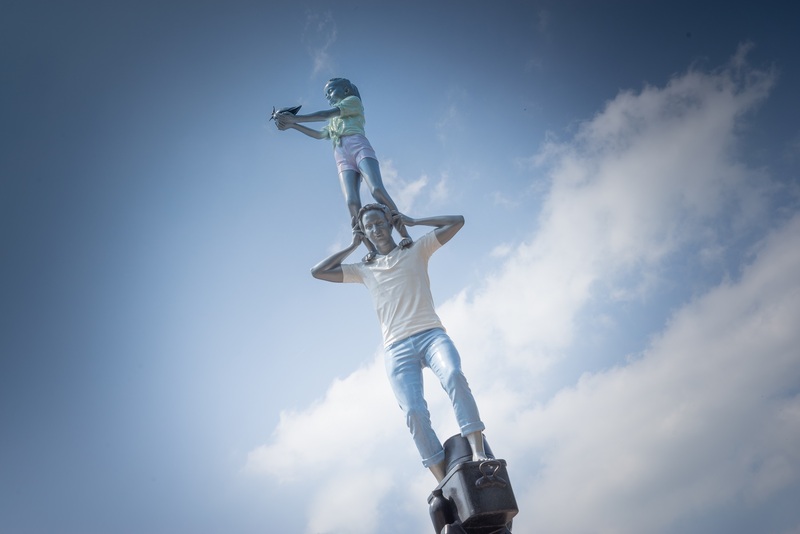 The transformation of the Frisian pasture landscape and the close community feeling of Sloten strongly appeal to the Ortas, and this is reflected in their fountain.